I’m sorry for this morbid photo. But it’s my proof that pregnancy gets a little rough sometimes. 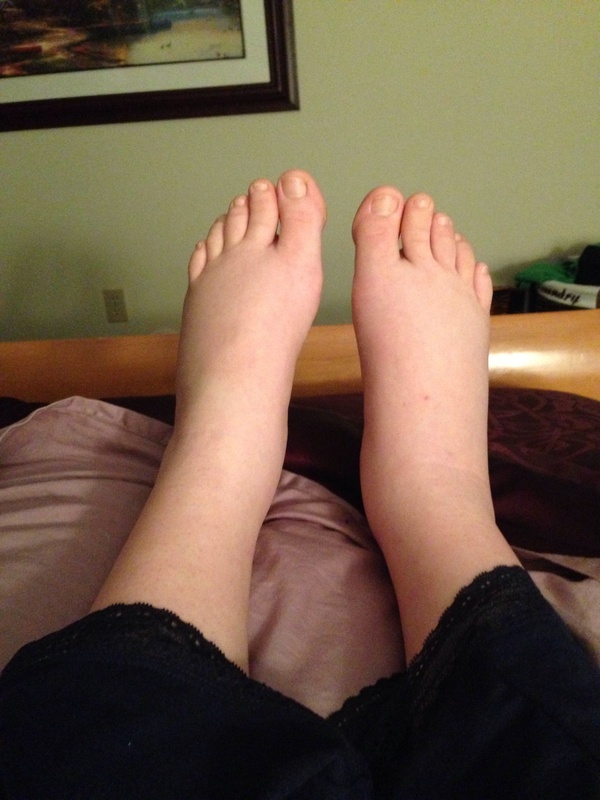 The swollen feet, the achy back, the Braxton Hicks (who said they aren’t painful?!) are not funny anymore, but I’d like to laugh at myself today, just so I can forget how easy it is to cry right now. Yesterday we showed ourselves to be those rookie expectant parents when we ended up unscheduled at the doctor’s office for a checkup—I was barely dilated past my point of last week—and later, in the Labor and Delivery Unit—once again, no change. The good news is we now know exactly where to go when the real deal comes. Yes, it was my mother-in-law. Again. Every day she’s been calling to ask: “How are you feeling?” “Any change?” “Are you ready to go to the hospital yet?” This is just her personality. She is beyond punctual, calling us several times at least when we are on our way to any family event to ask, “Where are you at?” “Are you on the way?” Waiting for this baby to arrive has been no different. She loves him so much already, and just wants to meet him. It’s really sweet actually. I know she’s just showing her love. And I do appreciate the intent. But I’m at the point where my nerves are shot; I need to get my mind off the thing, lest I end up at the doctor’s office again, blubbering because I feel so pressured to deliver this baby. I knew it probably wasn’t labor yesterday. But after my hubby urged me to “call the doctor!” (he’d seen and heard the pain from my practice contractions), I made the appointment out of passive aggression to say to everyone: “See? See? He’s not ready to come! Now leave me alone!” Actually, we missed my husband’s birthday dinner to be told what I already knew: “You’re not in labor yet.” At least I had a witness. Everyone wanted baby Sam to come on Buc’s birthday. We even asked to be induced (see, Mom, I tried! ), but they are re-flooring the L and D unit and there was no room in the inn—at least, not for women who weren’t already in labor. So, we headed home last night, me sore from being probed twice in one day, both of us dejected and hungry. I was embarrassed by the day’s events, but maybe they were for the best. I don’t know if I could have faced the whole family last night and their questions (however well-meaning they are), without crying. All day I had felt SO MUCH PRESSURE. Mentally and physically. I’m glad I got a relatively good night’s sleep last night and both pressures have subsided. I was annoyed yesterday at Buc for “pressuring” me into the hospital visits, but now I think it was sweet. He held my hand the whole time, cracked jokes to make me laugh, and was so loving. I realized that he was just worried about me, and he was doing what he could to protect his wife. He said he didn’t like to see me in pain. I am even thankful for the persistent mother-in-law calls, which tell me that my baby and I are going to be so loved and well taken care of in the coming days and months. Today, I have a much better outlook, and I feel ready to do something productive, like tackle writing my final post in my blog series and get my office cleaned up. I’ve discovered it’s not healthy to over-focus on this baby at this point, not until he comes, because I’ve done all I can do for now. And to my loving family and friends (and I really do love you all), if you want to call or text me, I love the calls and texts! Just…can we talk about something other than the baby today? 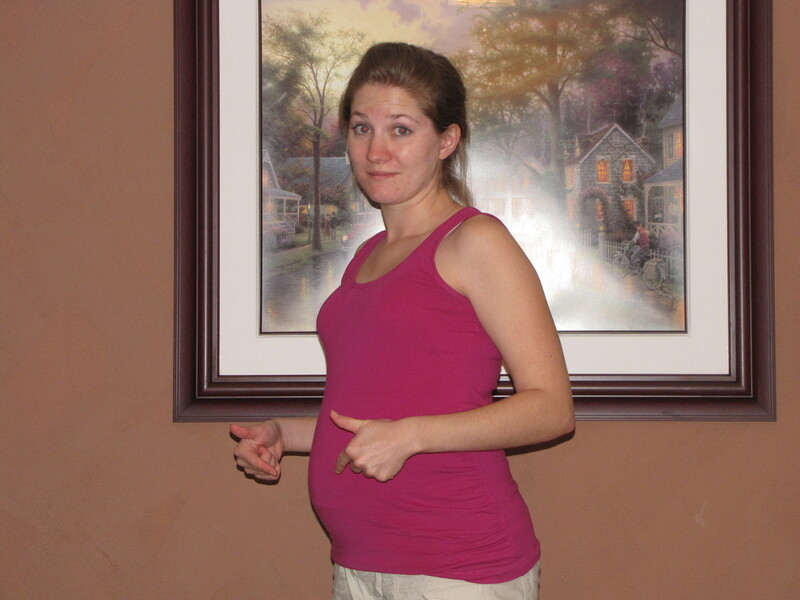 Ready or Not…Bring on the Baby! It’s finally starting to hit me: my baby is going to be here in just a few months. And I’m starting to feel a little panicky. I thought I was doing well, keeping emotions in check. At least, it didn’t feel like I was any more emotional than usual. I’ve always been one to cry easily at a movie scene, or even a melody. So when I find tears welling up these days, I don’t necessarily blame pregnancy. The exhaustion, though. That has to be pregnancy’s fault, right? Or maybe just an incidental collision of events piling up all at once? Two Thursdays ago, life went haywire. It started with my doctor’s appointment, where I learned I was having a baby boy! It progressed to the ICU, where my father-in-law was having high-risk emergency surgery. Then it opened onto the waiting room, where I was furiously typing up last changes to my first memoir draft because, wouldn’t you know it, that day was also my deadline with my editor. Later that day found me trekking up to the airport to pick up my mom, who was spending the weekend with us. During that visit, I was still trying to piece together my syllabus and assignments for the new class I was hired to teach just one week prior. And to top it off, that same weekend I hosted a women’s prayer retreat at my house to launch the last three-month Straight 2 the Heart prayer group before baby comes. Mix in some family problems that arose after the weekend, which took my focus completely away from the class I had to teach and the writing I should have been doing, and you have the makings of a very edgy pregnant lady. This week some friends kindly dropped off some baby things, and now I find the guest bedroom (where my college-age niece stays on Tuesday nights) being dismantled by my hubby, who suddenly got the crawl to work on the nursery. His “crawls” come in spurts, though, so he typically tears up something only to leave it in disarray for days, weeks, or months. Today I came home from my writers’ group to find him laid up with a headache, the baby room/guest room in no better shape than before I left, and all of a sudden, I’m on the brink of tears because I don’t know where to sit down and just do some of the personal writing I haven’t had energy to do for several weeks. Suddenly there is no room in my house that can accommodate me because every room has a problem we’ve put off fixing for all the years we’ve lived here. The baby room has just put me over the top. Suddenly I’m feeling like I’ll never have a room to myself again. I just want one room, darn it, that I can control. But the mess created by living human beings constantly intrudes on my desired place of sanctuary. My office, for instance, doubles as the dining room, and any time we have company, I have to interrupt my creative process to clear space. Woe is me, right? What a problem. It’s hardly a problem. We have a very large house, and with some reorganization, we can figure this out. (As you know from previous posts like this one, and this one, I just happen to detest things like cleaning and organization.) What is the real problem, then? Maybe I feel life surging too suddenly out of control, and I fear that, after baby, there will be no going back. He will be a wonderful, blessed addition to our lives. Just…how will I handle it all? Like I’ve handled everything else, I will handle it with my Father’s help. I will handle it by letting Him handle it. I’m sure everything will be fine. After such a crazy couple of weeks, maybe I just needed to get a little emotional. I needed to remember I don’t always have to hold it together as if these emotions are not ransacking my body and mind. I needed to pray, and write, and even cry a little. Tonight I came to the library to find a clear desk space on which to clear my head, and now I feel better already.